Linda Wheatland Smith, D.C., P.C. 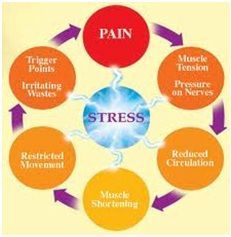 Muscular damage and pain is created through stress and trauma to the ligaments, tendons, and muscles that support our bodies. This type of damage forms resistant patterns that recur with injuries, poor posture, stress, and lack of exercise. The muscles become congested and tight leading to headaches, upper back and neck pain, low back pain, hip and buttock pain, and plantar fascitis among other issues. Deep specific therapeutic muscle work is critical to the relief and healing of the muscular damage. I specialize in this work and include it in all treatment sessions. Therapeutic targeted deep tissue massage is helpful in releasing and healing soft tissue injuries. It promotes blood flow, breaks up scar tissue, relieves pain, and reduces stress. Pain syndromes, sports injuries, arthritic pain and disc injuries all have components of muscular damage. Integrating deep therapeutic soft tissue work with chiropractic and acupuncture treatments contributes to improved function and comprehensive, lasting pain relief.